These Ornate Hiker Bells are just what you need for those hiking, no matter whether in the desert, in the deep forest or high in the mountains... just to scare off those unwanted critters. They're offered in brass and chromed brass and measures 3-1/2 inches in overall length. 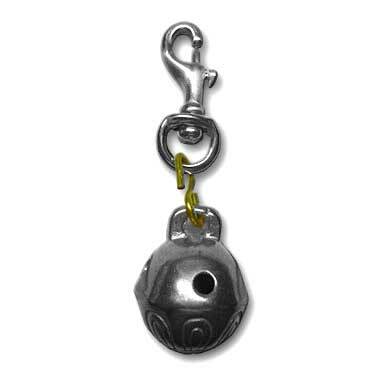 The 1-3/4 inch snap clasp has a 360 degree swivel on the bottom. 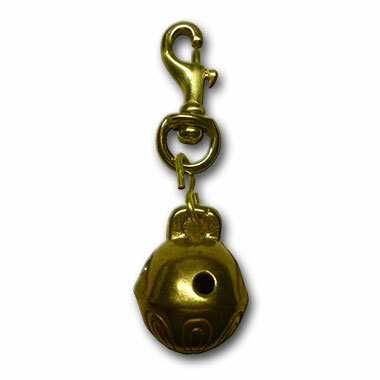 The Bell itself has a 1-1/8 inch diameter. You will need one of our Metal Mounting Loops to mount this to your stik or staf... or you can just clip it on your belt loop or backpack. Helps keep those critters away on your long walks in the woods or desert. Price starts at $9.50 per Hiker Bell... and includes FREE USA Packaging & Priority Mail Shipping if shipped with a Stik Order.